Rodeo Drive hosts a collection of exclusive events ranging from luxurious jewelry festivals to seasonal holiday spectaculars. These annual must-see events are featured only on Rodeo. Built on the foundation of the former Beverly Hills Speedway, The Beverly Wilshire Hotel is a historic hotel managed by Four Seasons Hotels and Resorts. The list of famous visitors include President Barack Obama, Elton John, Al Pacino, and the Dalai Lama. 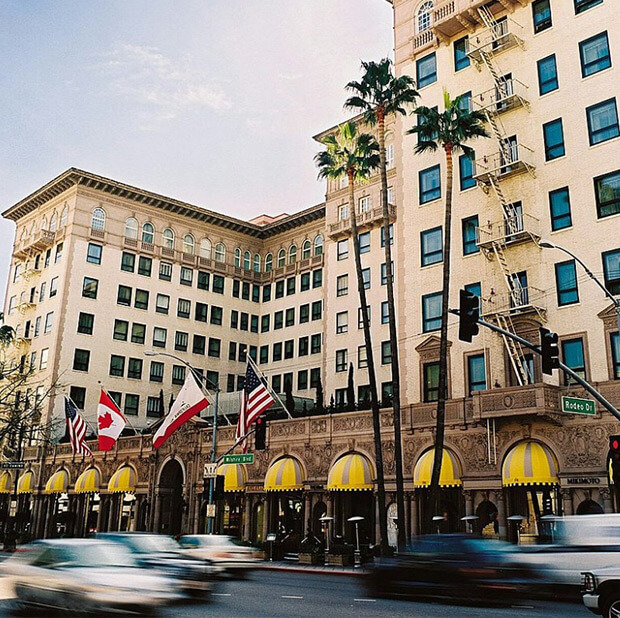 The Beverly Wilshire’s address in the heart of Beverly Hills and close proximity to numerous high-fashion boutiques makes it one of the top places to stay in Los Angeles. 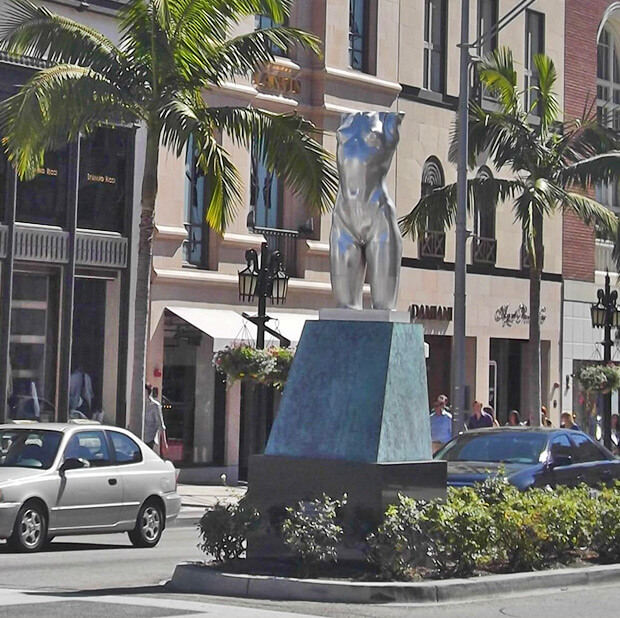 Standing 14-feet tall at the intersection of Rodeo Drive and Dayton Way, this sculpture is one of the last remaining pieces of art from it’s late coveted creator, Robert Graham. In a miniature form, “Torso” is synonymously recognized as the trophy for The Rodeo Drive Walk Of Style Awards. 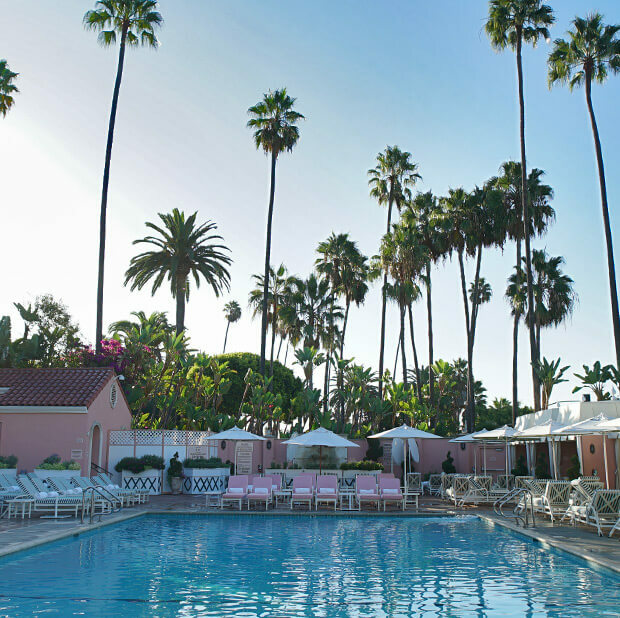 Planted atop the Beverly Hills Hotel, the pool and cabana have long been one of Los Angeles’ most heralded gems. The pool area is lavishly engulfed in imported Palm Trees, creating an oasis-like aura of isolation from the bustling city below. Celebrities and political figures alike have visited this secluded sanctuary for it’s scenery and luxurious amenities which include complimentary summer treats and cabanas complete with personal 47 inch televisions and a private refrigerator. 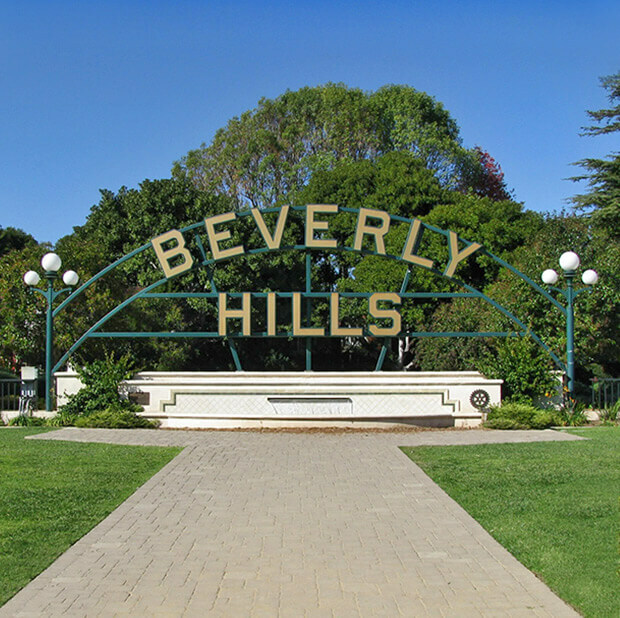 Nestled comfortably in The Beverly Gardens Park, the famed Beverly Hills sign is one of the cities most photographed locations. Stretching 40 feet long, the renowned sign is one of the top stops for both tourists and residents alike. 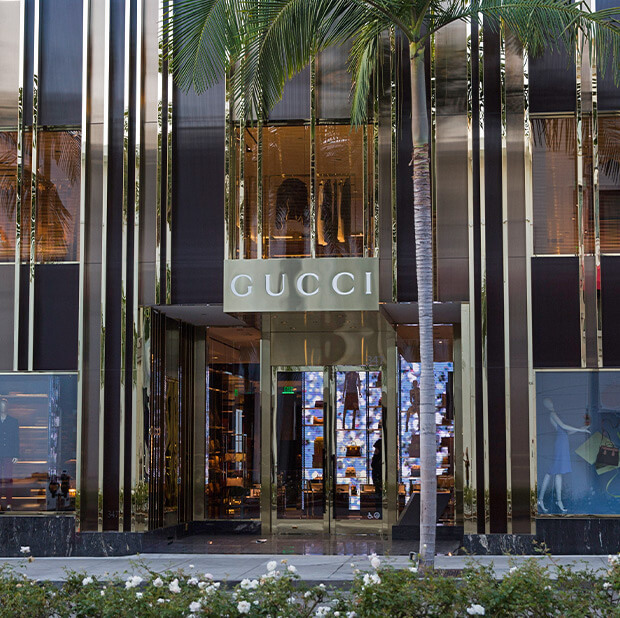 The sign itself is fully illuminated and bears a custom water feature accompanied with vibrant flowers, establishing the Beverly Hills sign as one of the must-see locations in the country. 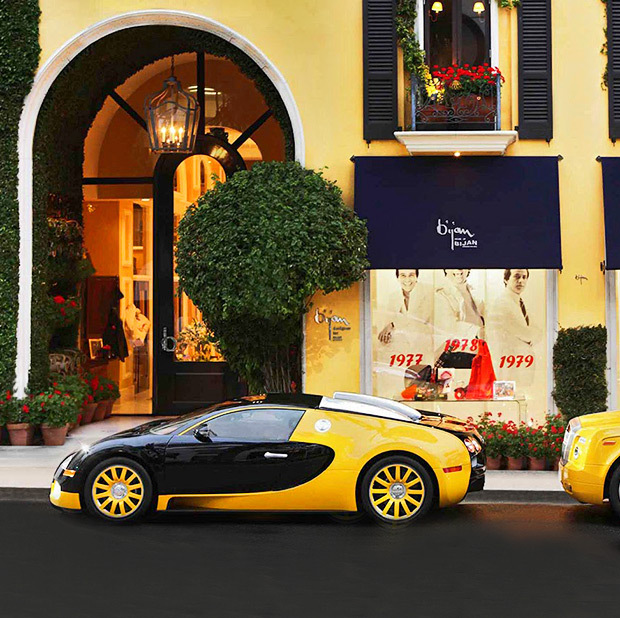 The House Of Bijan is commonly known as “The Most Expensive Store In The World”. The 12 million dollar storefront is closed to the general public with a reservation needed to shop the exclusive boutique. Well-known clients of “The House” are privy to their names being permanently engraved on the store’s front window, but the true attraction for customers and tourists alike is the custom Bijan Bugatti Veyron, often seen parked out front the renowned boutique. renovated store entrance and facade, much to their customers approval. This historic landmark first opened its doors in 1949 and features 19 restored bar stools surrounding a classic curved soda fountain counter. 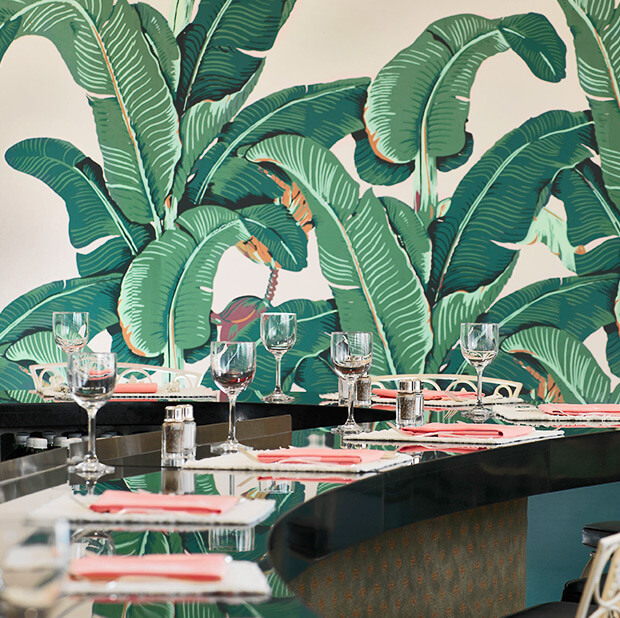 One of the most popular amenities within The Beverly Hills Hotel, The Fountain Coffee Room serves breakfast lunch and dinner around the clock with vintage-style milkshakes and malts made for all ages. 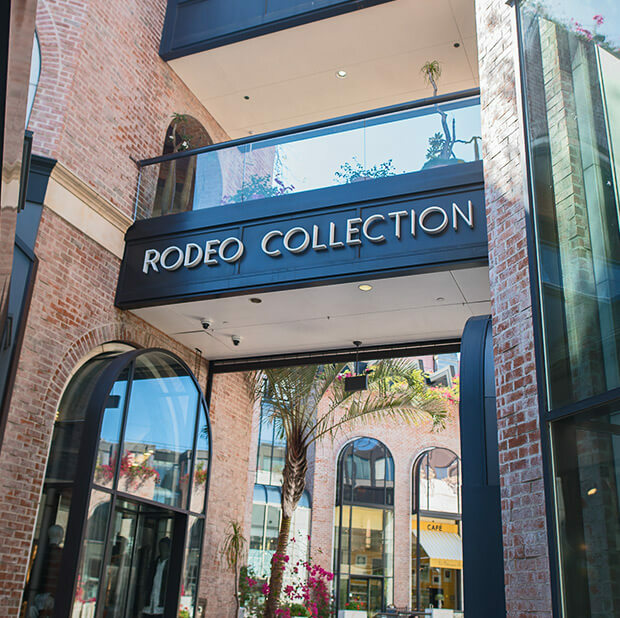 Opened in the early 90’s, Two Rodeo Drive is the younger of the two shopping complexes on Rodeo Drive. 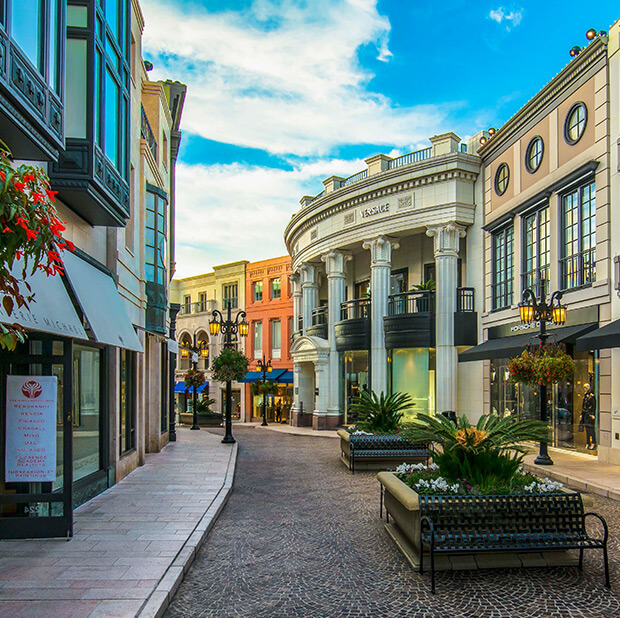 Closely resembling an upscale European Shopping Alley, Two Rodeo Drive is lined on either side with exclusive boutiques and the street itself is comprised of cobblestones with beautiful floral arrangements in between. Stay up to date on the latest events, openings and exclusive happenings.